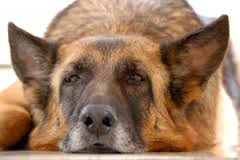 How do you know if your dog has Arthritis … and what you can do about it! The 12th of October is World Arthritis Day. Arthritis is the Number 1 cause of chronic pain for our dogs and will shorten their life with you … if you don’t do something about it! Are they looking stiff and sore or lame at times? Are they slow to get up from a resting position? 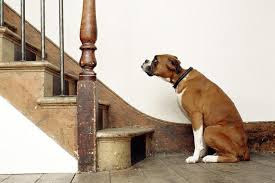 Are they hesitating or resisting going for their usual walk or climbing stairs or getting up on the couch? Do any of their joints look swollen or are they licking them? 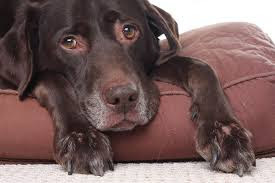 But it’s NOT ALL BAD NEWS… Here are 3 expert tips to ease the pain of your dog’s Arthritis and help them live a longer, happier life. 1. Stop throwing the ball! Yes your dog might still love chasing a ball, but it’s a major Arthritis and injury risk for your dog. 2. Learn to Massage your dog. It’s a great way to relieve their Arthritic pain and spend more quality bonding time with your dog. 3.Look at making some changes to their diet, by adding super foods like a Bone Broth. It’s a great way to support their joints and they’ll love the taste of it.